A few weeks ago I shared my favorite Brown Sugar Shortbread cookie recipe and I mentioned that I like to use it as a tart base sometimes! THIS is that tart! Cream cheese frosting and all the fresh fruit you’d like make this a great treat that both adults and kids will like! We obviously like a lot of berries at our house, but you can add ANY fruit to this, That’s part of the fu! You can even cut up a ton of fruit and let the kids make their own. 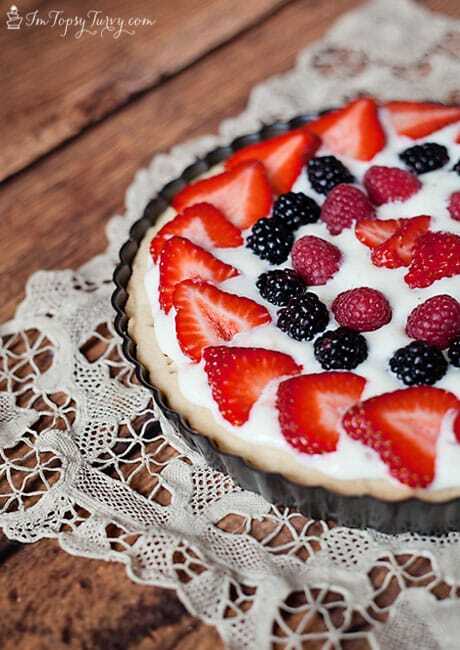 Decorating this tart is actually half the fun in my opinion! Beat the cream cheese, sour cream and vanilla until smooth. 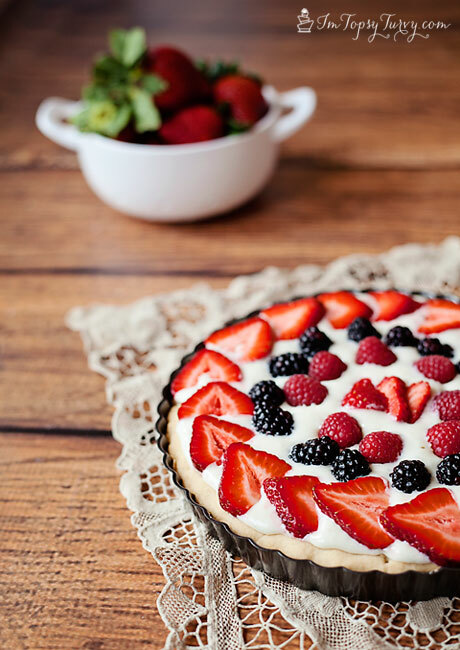 Then comes the fun, adding the fruit and decorating your tart! 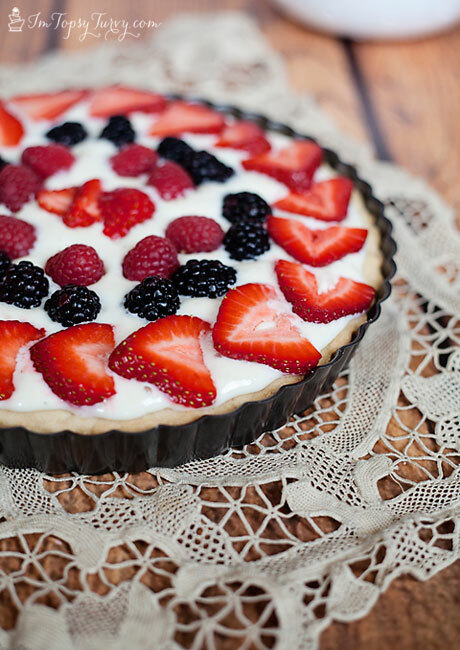 What fruit would you put on your tart? Obviously we love strawberries, blackberries and raspberries. But my kids also like banana’s (blech – you guys know about my banana issues, right?). My sister likes kiwi’s, blueberries, mandarin oranges. oh that looks good. I’m so excited for more fresh fruit! Thanks and YES fresh fruit is so nice, love seasonal eating! This looks amazing!! Pinning to try later! !